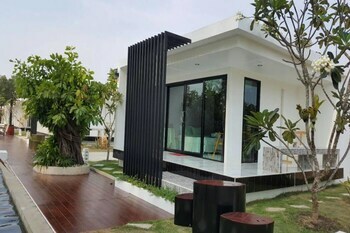 With a stay at Yamadaya Beach Resort in Trat, you'll be on the beach, and 15.2 mi (24.5 km) from Ruby Beach and 17.1 mi (27.5 km) from Khao Lan Thai Red Cross Centre. Featured amenities include dry cleaning/laundry services, a 24-hour front desk, and luggage storage. When you a stay at New Rantee Beach Resort 2 in Ko Phi Phi, you'll be near the beach, just steps from Ko Phi Phi Don and Rantee Bay. The front desk is staffed during limited hours.